Are you looking for the Indiana Jones of team-building venues in South Africa? Every corporation can agree that business success starts with having a team of happy and motivated employees. Vital to the success of any business, a cohesive, motivated, engaged, and strong workforce can be the difference between failure and success. In fact, studies show that, when employees are motivated and engaged, not only are sales and profits higher, but employees miss less work, and they are more receptive to change. What are the Causes of Unmotivated and Disengaged Employees? The key to the survival of any business is motivated and engaged employees. Happy employees mean a highly productive workforce. But it is not easy to keep employees in a constant state of high productivity. In fact, it must be understood that a disengaged employee is not necessarily an incompetent one – it is rather a symptom of a larger problem that has led them to become this way. It could be that the employee is feeling underappreciated and unrecognised or it could be lack of direction and communication from managers. While there are many reasons for unmotivated and disengaged employees, it is up to you as the business owner to find creative ways to keep your employees energised and motivated. And that can easily be done at the right team-building venue. It might be no secret that employee disengagement is a problem in today’s global workforce, but it is also no secret that the way in which a team works together determines the success of a brand. 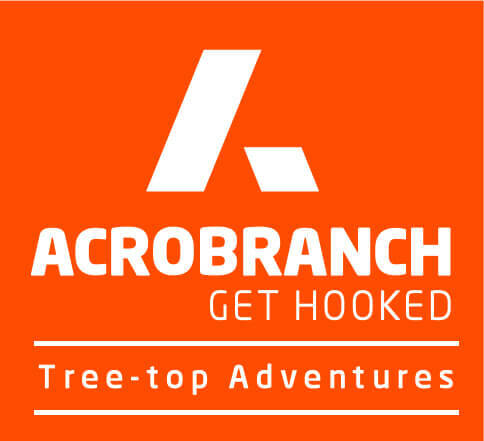 Have you ever heard of Acrobranch tree canopy tours? A world-class, state-of-the-art ziplining adventure that lets you glide through the air with the wind in your hair, Acrobranch tree canopy tours are currently the fastest growing team-building adventure in South Africa. It is nationally celebrated for offering employees a chance to escape the corporate world, bond with each other, laugh, and have loads of fun. At Acrobranch, we have gained tremendous experience in hosting team-building events for both small and large groups throughout South Africa. As the fastest-growing local outdoor team-building activity, not only do we offer seven state-of-the-art Adventure Parks situated throughout South Africa, but we usually offer a 20% discount on all our year-end team-building packages if you book before December. Whether you want to better teamwork, boost productivity, improve communication, increase sales, introduce change, or promote leadership, the right team-building venue can give your brand the competitive edge. Contact us today to make your booking.